I don’t know about you, but I have big goals for my disc golf game in 2016. Increasing my player rating, playing the Wisconsin Disc Golf Tour, competing at Am Worlds, and having lots of fun of course! Whether you have performance or competitive goals, or you just want to get out to some new courses this year, it’s not going to magically happen on its own. 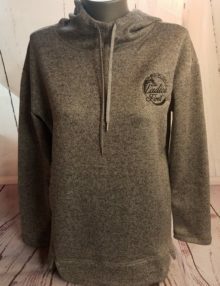 In my experience I have found that the single biggest predictor of achieving any goal (disc golf-related or not) is the level of accountability and support I have. When I first wanted to start playing disc golf regularly a few years ago, I was new in town and didn’t know anybody. I was really self-conscious about going to the course alone. I felt like I stuck out like a sore thumb on the course as I was oftentimes the only woman and a beginner to boot. I didn’t want to hold anyone up or be ‘judged’ by the more experienced players. Consequently my rounds were few and far between. My playing frequency, skill, experience, and overall enjoyment of the game increased exponentially after I joined the Disc On! 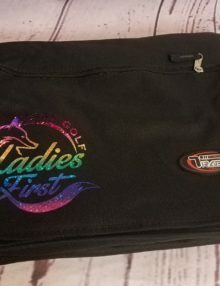 Ladies League (DOLLs), started playing tournaments with my new friends from league, and after meeting my boyfriend, traveling around to different courses each weekend with him and his friends. 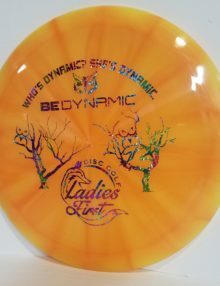 I have learned so much from playing with other people (most of them better than me): proper throwing form and technique, disc flight paths, how to adjust your strategy based on the weather, selecting the proper disc for the shot, course etiquette and rules, and how to stay in the game mentally when you are having a bad round, just to name a few. Online. 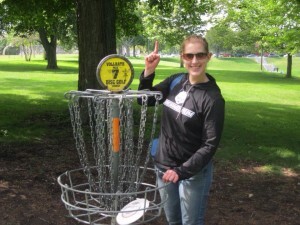 Disc golfers are very active online, from Facebook groups and exchange boards to Instagram accounts and more. A simple search should turn up a lot of options. The PDGA website is also an underutilized gold mine – the member database makes it easy to search for players in your area and local coordinators. On the course. If you catch up to a group and the offer to let you play through, ask if you can join their group! Single ladies, the odds are especially in your favor 🙂 Helping someone search for a lost disc is also an easy icebreaker. Local shop owners. If you’re fortunate to have a disc golf shop near you, the owners/employees are a great resource. They will know all about local leagues, tournaments, and course regulars to whom they’d be happy to introduce you. Plus you can strike up a conversation with the other shop customers. Leagues. Many courses host weekly league play and are a great way to meet a lot of people in an organized setting. 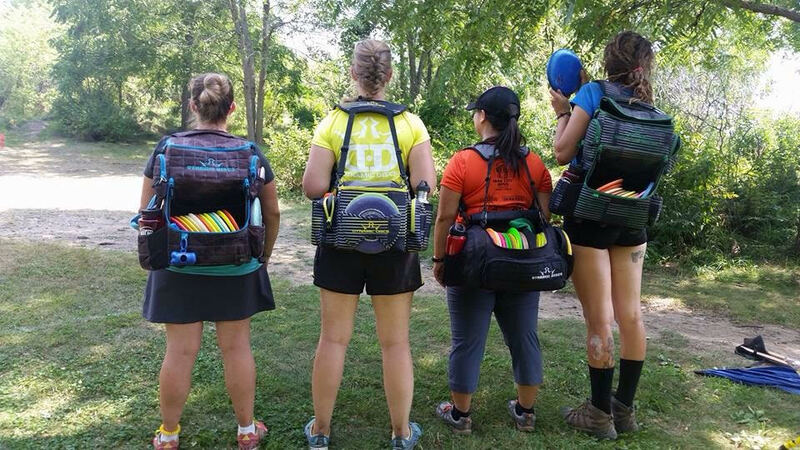 There are a range of options, from non-competitive women’s leagues like DOLLs, all the way up to PDGA sanctioned leagues that count toward your player rating. Tournaments. When I was new to the sport, the idea of playing in a tournament sounded very intimidating. Luckily I was encouraged/lovingly peer-pressured into signing up for a tournament by other DOLLs members and found out that I loved it! There are multiple divisions to choose from so you are competing against players of your same gender and skill level, and you can meet people from all over the state. I’ve had the most fun at all-women tournaments like the Women’s Global Event and the Wisco Disco. Does the idea of striking up a conversation with a stranger make you cringe? Me too, most of the time. But if there’s one thing that I’ve learned over the past couple years, it’s that disc golfers are some of the friendliest and most generous people around. Even though it’s an individual sport, there is so much camaraderie. The great thing about disc golf is that you can play with people of all skill levels and still have a good time. You’re in good company. And finally, once you’ve found your new disc golf friends, don’t forget to pay it forward! If you come across a solo player on the course, invite them to join you. Talk to someone you haven’t met before at a tournament or the new guy or gal at league. Put up a post in your local Facebook group inviting anyone to join you for your next round. And grow the sport by inviting your non-disc golfing friends too! 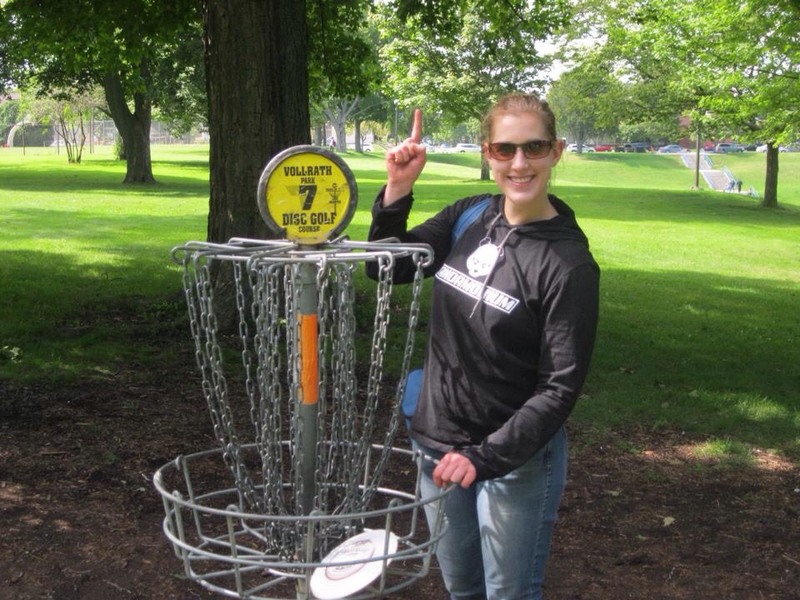 What are your 2016 disc golf goals, and who is going to help you reach them? Most days you can find her taking a break from her consulting business (www.caseypennington.com) at one of the courses in Sheboygan. On weekends she loves to travel around Wisconsin for tournaments and casual rounds with friends, rain or shine or snow!